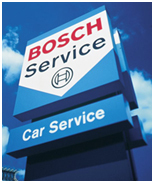 The Bosch Car Service network is a national network of independent garages. The reason for our choice to join Bosch in 2014 is to enable us to keep up with modern diagnostic techniques and training together with one of the largest and well known manufacturers of automotive Electronic Components. 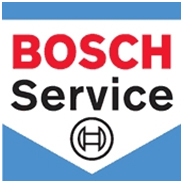 As a member of the Bosch Car Service network we will work to an Approved standard which ensures your peace of mind when bringing your car to us knowing that you are going to be given only the best technical service. We endeavour to provide outstanding levels of service to all of our customers. When you trust your car to us it is our intention to ensure that every customer can expect the highest quality of workmanship, be treated in a courteous and friendly manner and be assured that your vehicle is in the best possible hands we fully recognise that the future of our company relies upon our customers' satisfaction. Bosch is the world's leading supplier of automotive products, technology and resources. Being part of the Bosch Car Service Network gives access to the latest and most advanced technical expertise in the business. In 2002, Bosch created the Car Service concept which provides independent garages with technical training on their products. They provide for the vehicle manufacturers. Further to this the concept provides its members with signage and workwear and a code of conduct is also implemented. The garages complete a quality audit annually to ensure the high levels of service are maintained. Full details of the Code are available on request. General fault finding and problem rectification.